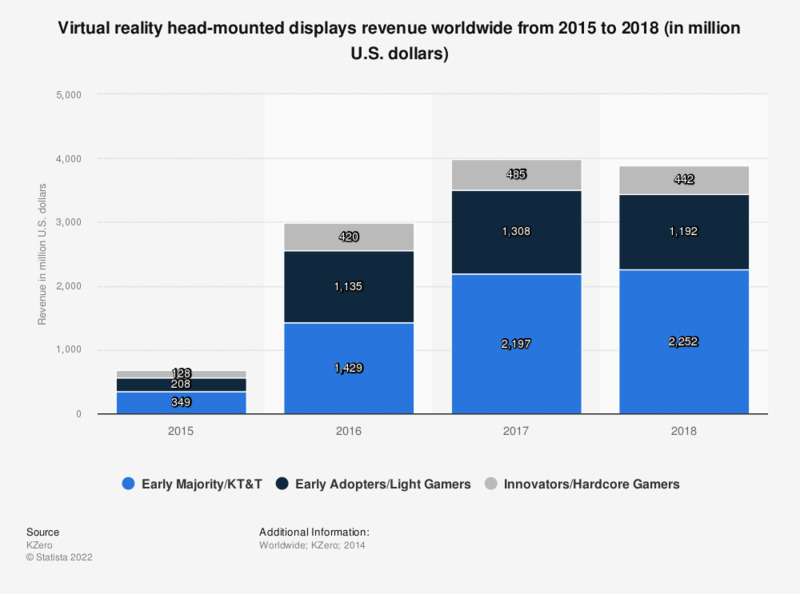 The statistic shows a forecast for the sales revenue of virtual reality head mounted displays worldwide from 2015 to 2018. For 2017, revenue from virtual reality Head-mounted displays is forecast to reach 3.99 billion U.S. dollars. The entire VR market is set to grow at a very fast rate in the following years, especially the software segment, where revenues from virtual reality software are forecast to reach an over three thousand percent increase in four years.